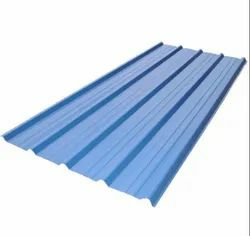 Offering you a complete choice of products which include color coated roofing sheet, corrugated roofing sheet, galvanized roofing sheet, industrial roofing sheet, mp-960_51 mm depth decking profile sheet and mpil color coated roofing sheet. 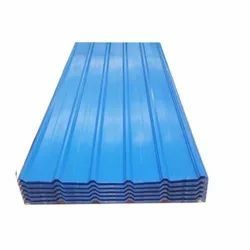 MPIL is one of the leading manufacturer and supplier of Industrial Roofing Sheet for our valuable customers in terms of quality and satisfaction. 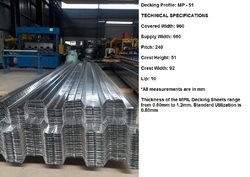 MPIL manufacturing the MP-960_51 mm Depth Decking Profile Sheet from thickness 0.60 mm to 1.25 mm. Length as per Client requirement but maximum up to 12 mtr. 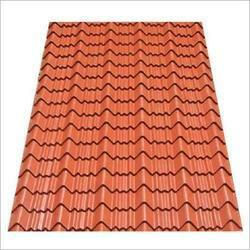 MPIL is manufacturing JSW make Color Coated Galvalume Roofing & Wall Cladding Profile Sheet as well as Accessories. MPIL have total three types of Profile MP-980 Trapezoidal Profile Sheet , MP-1020 Hi-Rib Profile Sheet and Mangalore Tile Profile Sheet. 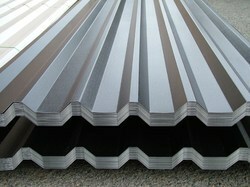 MPIL is manufacturing JMS Roofing Sheet as well as Accessories. MPIL have total of three types of Profile MP-980 Trapezoidal Profile Sheet, MP-1020 Hi-Rib Profile Sheet and Mangalore Tile Profile Sheet. 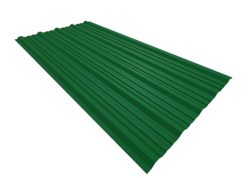 MPIL is manufacturing PPGL Curved Roofing Sheets. MPIL have total three types of Profile MP-980 Trapezoidal Profile Sheet , MP-1020 Hi-Rib Profile Sheet and Mangalore Tile Profile Sheet. 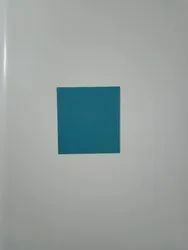 MPIL is one of the leading manufacturer and supplier of PPGL North Light Curve profile sheets for our valuable customers in terms of quality and satisfaction. 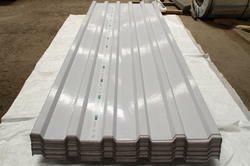 MPIL also manufcturing 2 mm thickness Polycarbonate sheet as per your profile sheet sample or drawing. The maximum length up to 5 mtr.